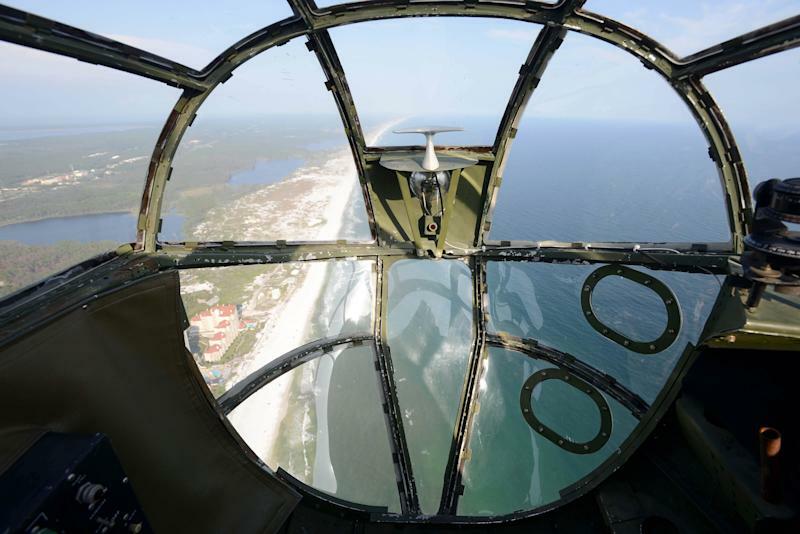 EGLIN AIR FORCE BASE, Fla. (AP) — At 97, retired Lt. Col. Richard Cole can still fly and land a vintage B-25 with a wide grin and a wave out the cockpit window to amazed onlookers. 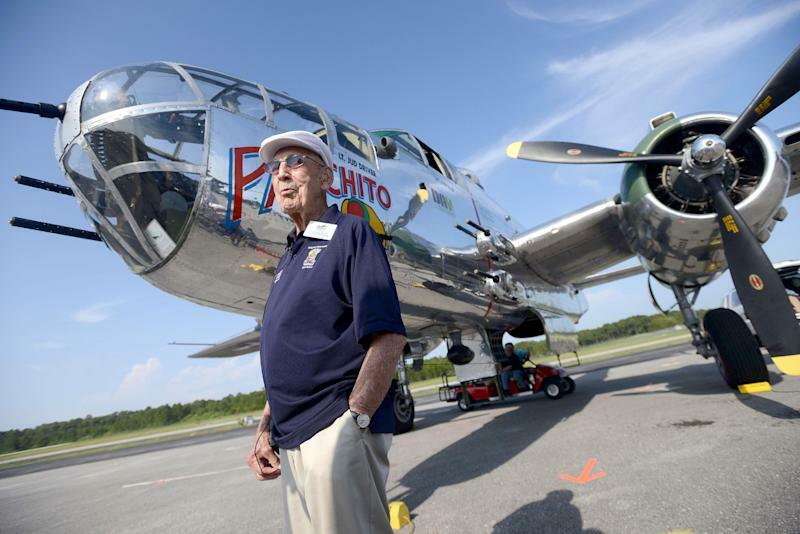 David Thatcher, 91, charms admiring World War II history buffs with detailed accounts of his part in the 1942 Doolittle Raid on Tokyo, in which he earned a Silver Star. Retired Lt. Col. Edward Saylor, 93, still gets loud laughs from crowds for his one liners about the historic bombing raid 71 years ago Thursday that helped to boost a wounded nation's morale in the aftermath of Japan's attack on Pearl Harbor. Cole, Thatcher and Saylor — three of the four surviving crew members from the history-making bombing run — are at Eglin Air Force Base in the Florida Panhandle for a final public reunion of the Doolittle Raiders. They decided to meet at Eglin because it is where they trained for their top-secret mission in the winter of 1942, just weeks after the Japanese devastated the American fleet at Pearl Harbor. The fourth surviving raider, 93-year-old Robert Hite, could not make the event. "At the time of the raid, you know the war was on and it was just a mission we went on, we were lucky enough to survive it but it didn't seem like that big of a deal at the time. I spent the rest of the war in Europe and with the guys in Normandy and taking bodies out of airplanes and stuff and I didn't feel like a hero," Saylor said Wednesday following a ceremony in which an F-35 Joint Strike Fighter maintenance hangar at the base was named in his honor. Saylor joked with the audience of young airmen and local dignitaries. "My reaction when I out found out we were bombing Japan from an aircraft carrier was that it was too far to swim back home so we might as well go ahead with it," he said. The 16 planes, loaded with one-ton bombs, took off from the aircraft carrier on less than 500 feet of runway. They had only enough fuel to drop their bombs and try to land in China with the hope that the Chinese would help them to safety. "We were all pretty upbeat about it, we didn't have any bad thoughts about what was going to happen. We just did what we had to do," said Cole, who was Doolittle's co-pilot. Wednesday's event at the base is part of a weeklong series of activities planned by the military and community leaders to honor the men. Thomas Casey, business manager for the Raiders and a longtime fan of the men, said the four survivors have decided they can no longer keep up with the demands of group public appearances. "The mission ends here in Fort Walton Beach on Saturday night, but their legacy starts then," he said. Casey said he hopes everyone who has had a chance to interact with the men will keep their legacy alive. "I want them to tell the story to their children, their grandchildren, their neighbors and keep their story going because their story is worthwhile telling." At each reunion is a case containing 80 silver goblets with the name of each raider inscribed right-side up and upside down on a single goblet. The men toast their fallen comrades each year and turn their goblets upside down in their honor. They have also saved a bottle of Hennessy cognac from 1896, the year mission commander James Doolittle was born. The Raiders had said the final two survivors would open the bottle, but they have since decided that the four survivors will meet in private later this year for the toast. At Wednesday's dedication of the Saylor Hangar, the three men posed for pictures beneath a vintage B-25 bomber and an F-35 Joint Strike Fighter that sat beside it. Col. Andrew Toth, commander of the F-35 squadron at Eglin, told the men, "You boosted the morale of this nation just four months after Pearl Harbor. Thank you for your dedication and service." Young airmen and women obtained the old veterans' autographs and thanked them for their service. "I've seen the movies — you know, 'Thirty Seconds Over Tokyo,'" said Air Force Lt. Col. Mike Matesick. "I think this is awesome because they actually trained here at Eglin and they did the ceremony to actually name a hangar after one of the guys. It's pretty cool." 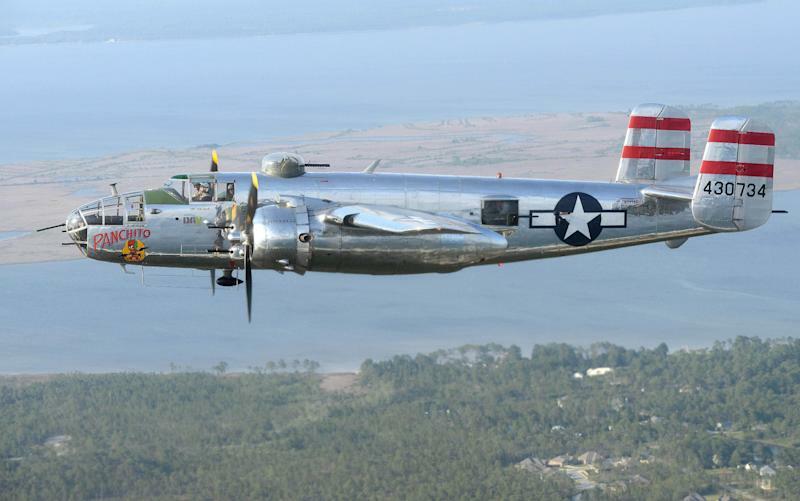 Larry Kelley owns the vintage B-25 aircraft that Cole flew a day earlier during a demonstration of four restored B-25s from the World War II era. Kelley choked up when trying to explain what it has meant to him to meet Cole and the other raiders over the past several years and to have the men fly in his aircraft. "Here are some of the most famous aviators that came out of World War II and they've never put a nickel in their pocket" as a result of their fame, he said. Instead, he said, any money from book signings and appearances has always gone to the James H. Doolittle Scholarship Fund for aviation students. Kelley said sitting beside Cole while Cole took the controls of the B-25 and landed the aircraft was a highlight of his life as a World War II and aviation buff. "Oh yeah, he did most of the flying today. He did the landing. He's dead on. I kept looking over the altimeter. I told him to hold 1,500 feet and I kept looking at the altimeter and it was dead on: not 1,499 feet, not 1,501 feet. He had the altimeter pegged at 1,500 feet," he said.